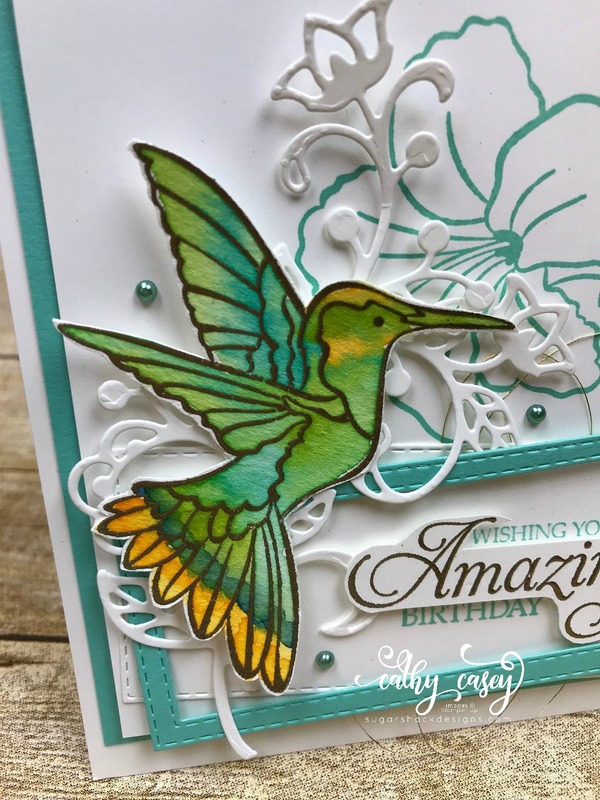 Monday Montage Blog Hop – Week 137!!!! It’s that time of year when the new catalog is right around the corner and the retiring list is out. I have a love/hate relationship with this time of year…I’m sad to see favorites go but super excited for new pretties to play with! 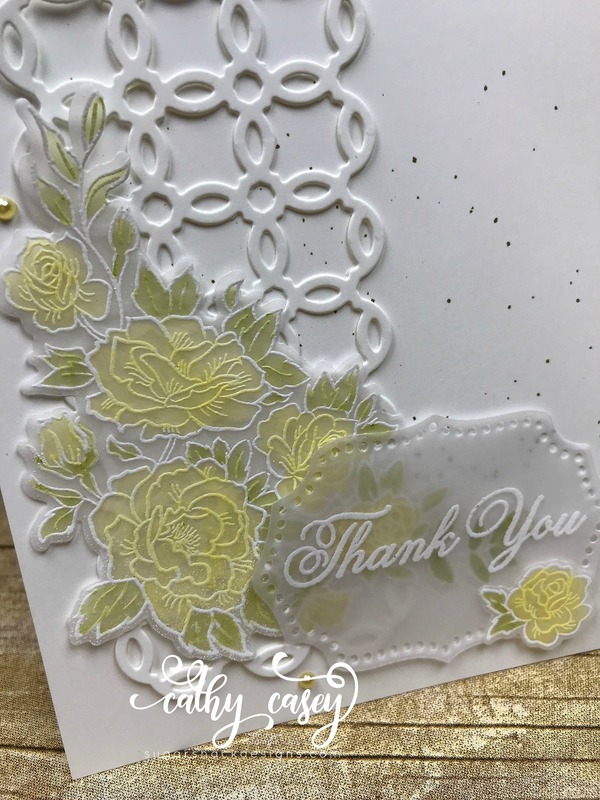 I am exceptionally sad this year to say goodbye to the retiring In Colors as they are some of my favorites, I will be using them a lot over the next few weeks so I can get my fill of them! 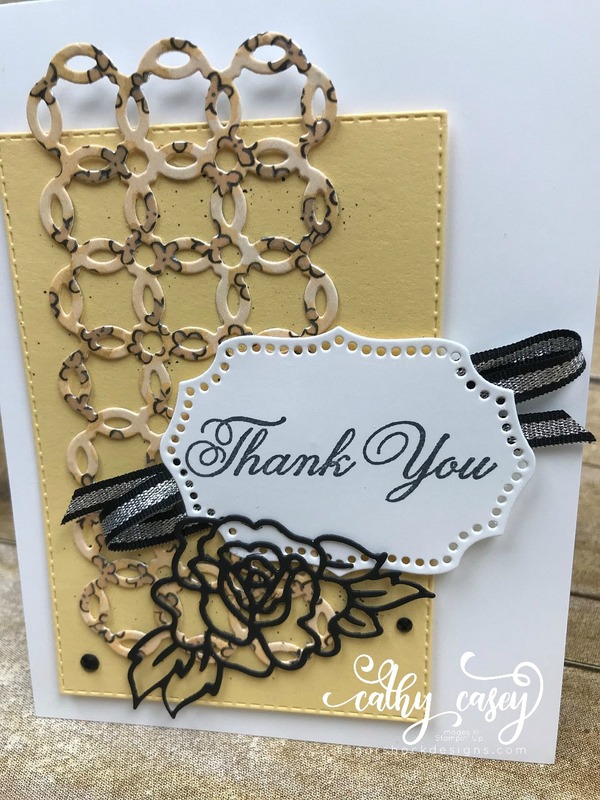 Today’s card features some of my favorites from the Occasions Catalog…there are so many things I love in this catalog, I will be sad to see it go too! Monday Montage Blog Hop – Week 136!!!! 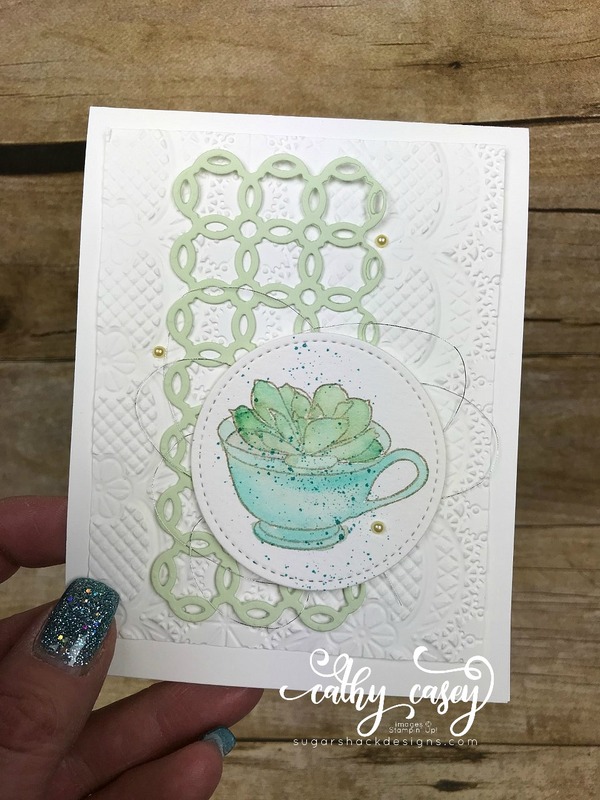 Today’s card features the super cute succulent stamp from the February Paper Pumpkin kit. 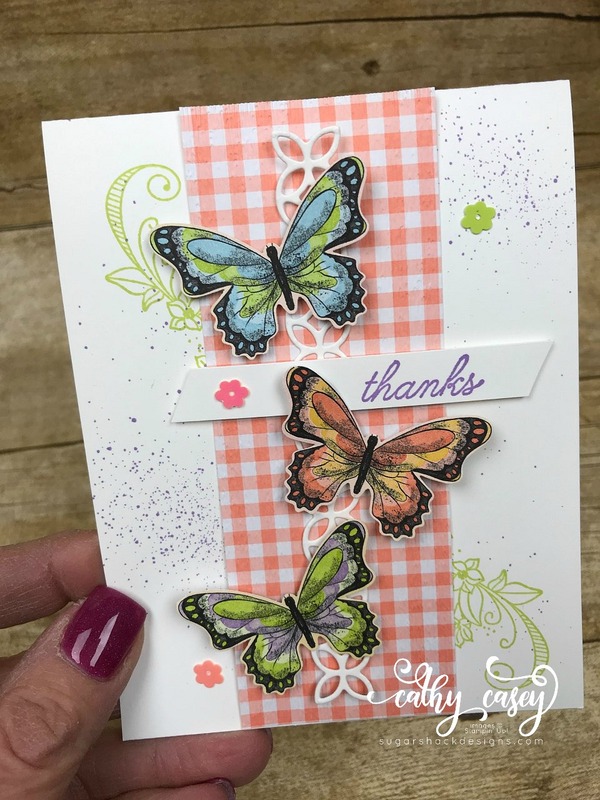 Not only does that kit have the cutest cards, it has some really fun stamps in it! I had to do a semi-no line watercolor technique with it. 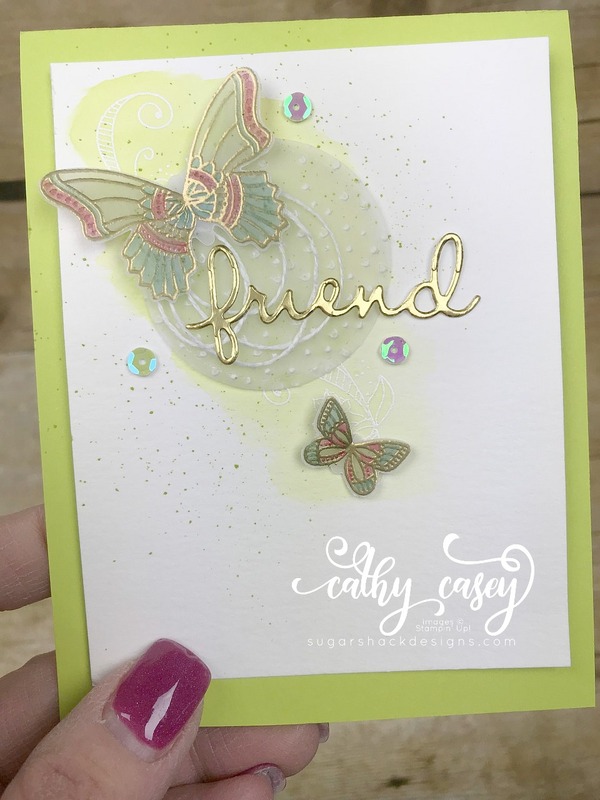 I think I used Sahara Sand, it didn’t completely fade out but it is soft and dreamy. I just love it! 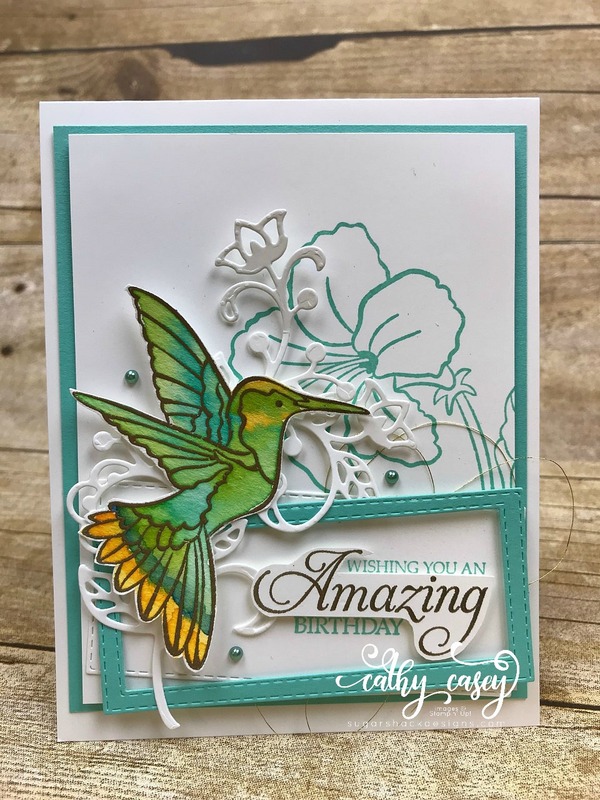 The Lace Dynamic Textured Impressions Embossing Folder and the Soft Sea Foam die cut carried the dreamy quality of the card home. It’s sort of soft, sweet and vintage. Monday Montage Blog Hop – Week 135!!!! 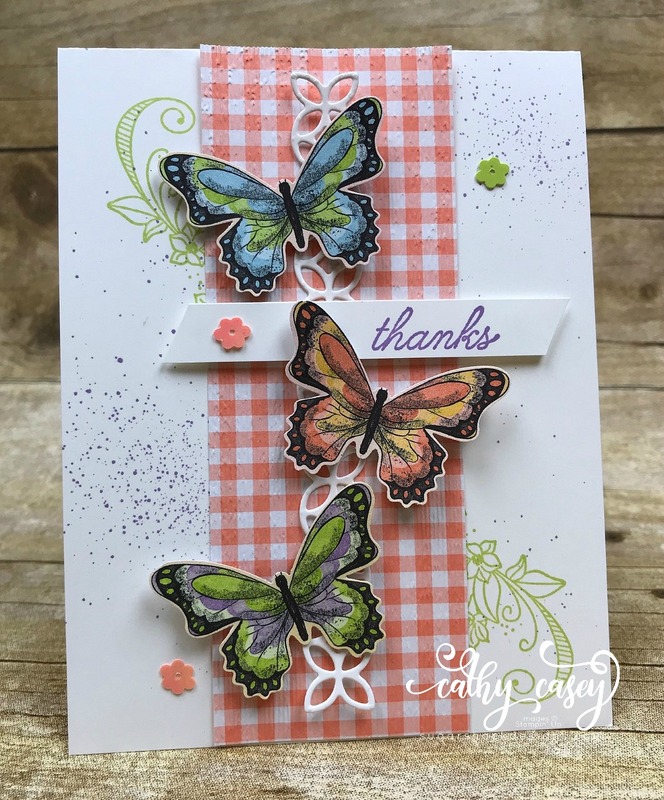 I have created quite a few cards with the lovely Humming Along set. 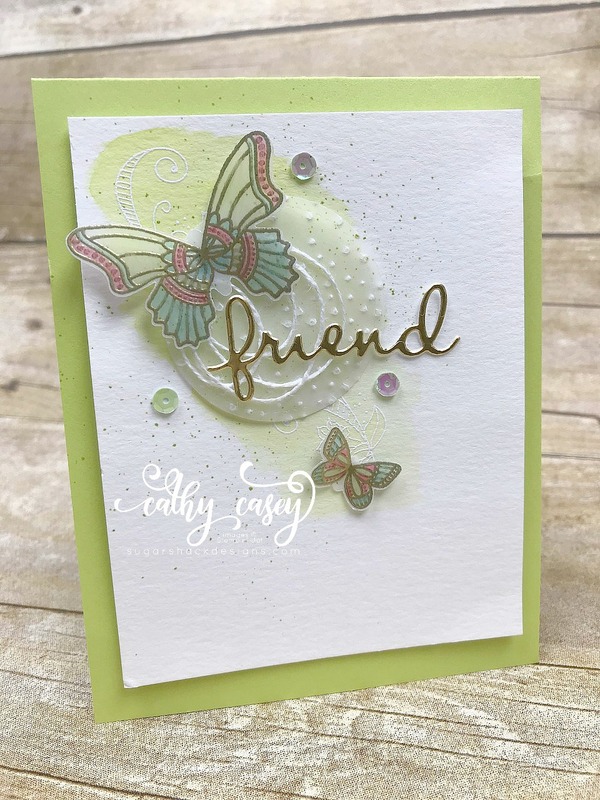 I just purchased the coordinating framelits, so I will be having more stamping fun with this gorgeous set! 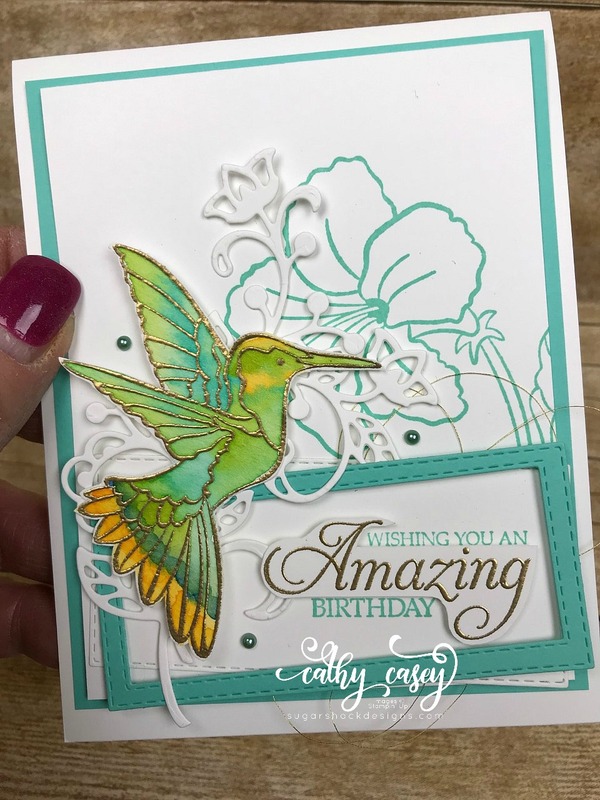 For this card, I gold embossed the hummingbird image on watercolor paper and then watercolored with Lemon Lime Twist, Coastal Cabana, Daffodil Delight, Bermuda Bay, Mango Melody and Blueberry Bushel. I love how my sweet birdie came out! 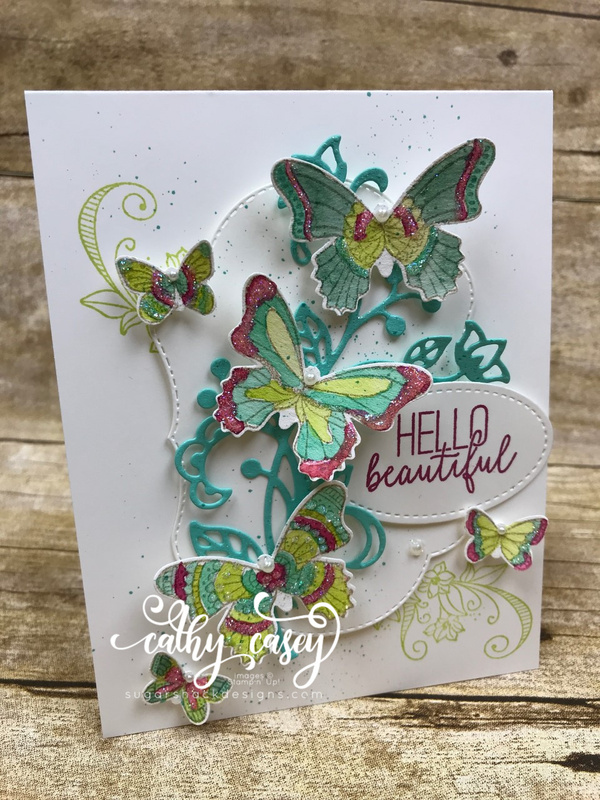 The rest of the card features the large flower from the set stamped in the background in Coastal Cabana and several die cuts with the new Rectangle Stitched Framelits – these dies are must haves!!! Monday Montage Blog Hop – Week 133!!!! 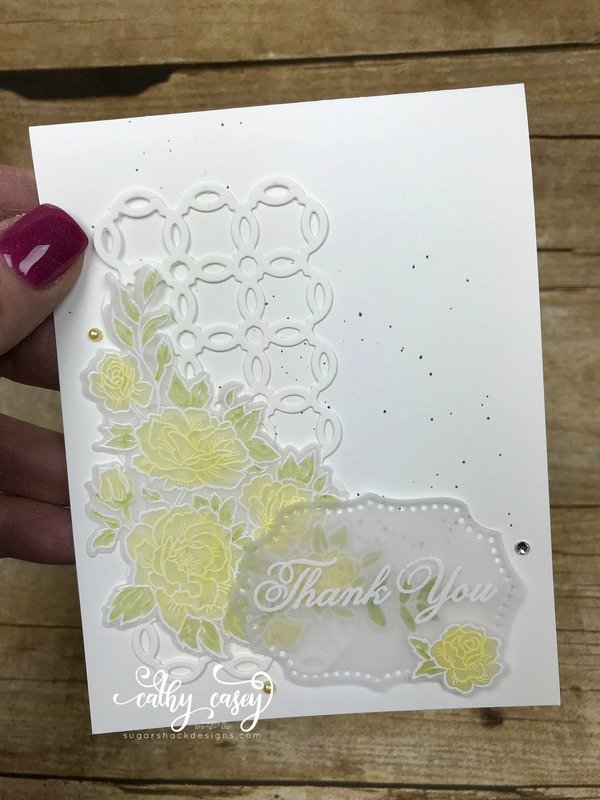 Today’s project features the gorgeous Climbing Roses stamp set. This set is so much fun to color with watercolors or, in this case, Blends. 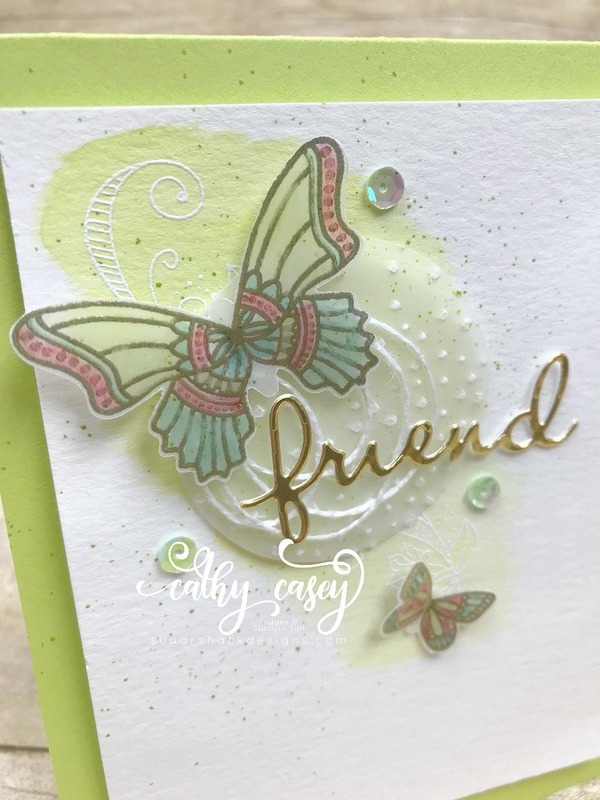 I white embossed the large image on vellum and then colored with Blends and I could not love the result more! 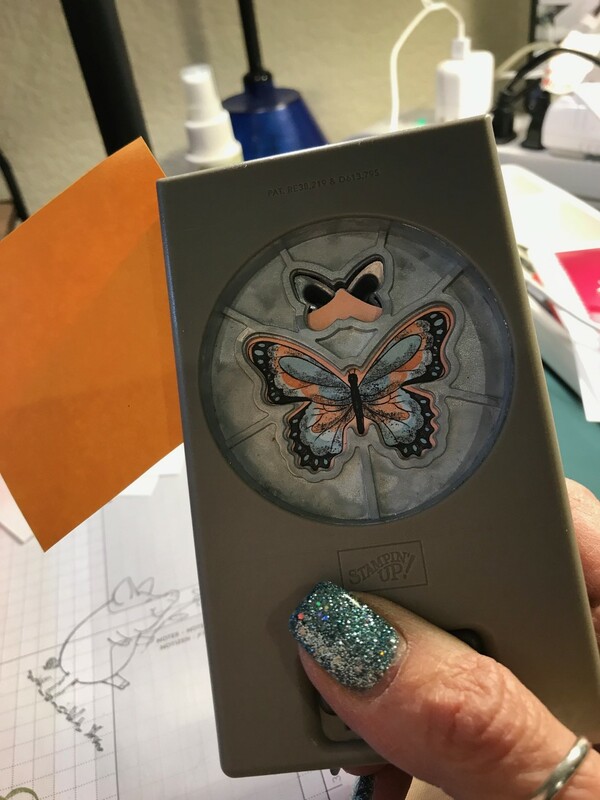 It’s so subtle and pretty….yummy! 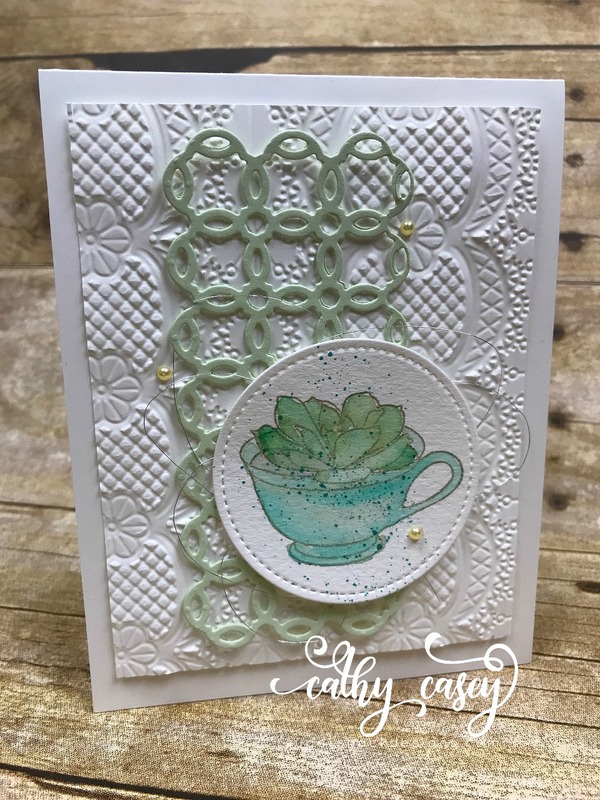 Monday Montage Blog Hop – Week 132!!!! We are soooo excited to have new members join our hop this week! Please welcome Charlet Mallett and Cheryl Curtis to our group! 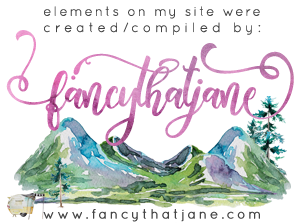 I can’t wait to see their creations and I know you will love their work too! 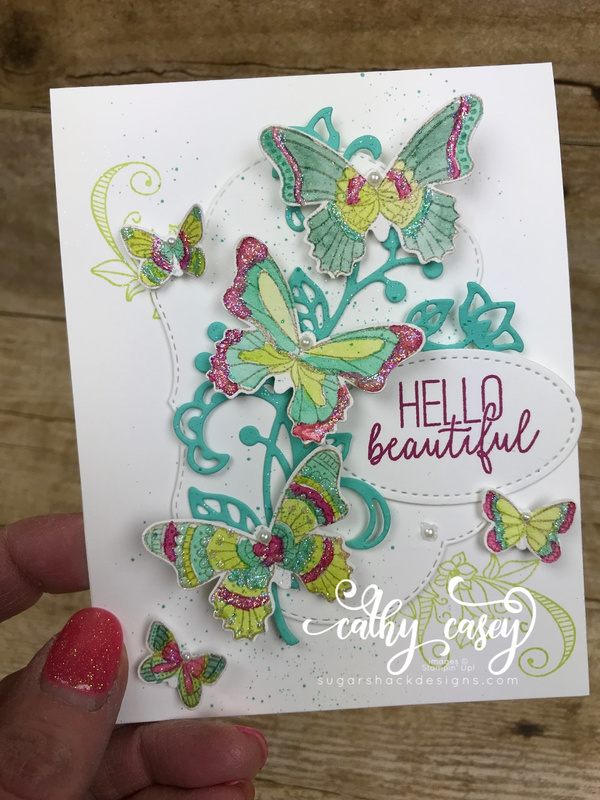 I played with the lovely little butterflies in the Butterfly Gala set today. 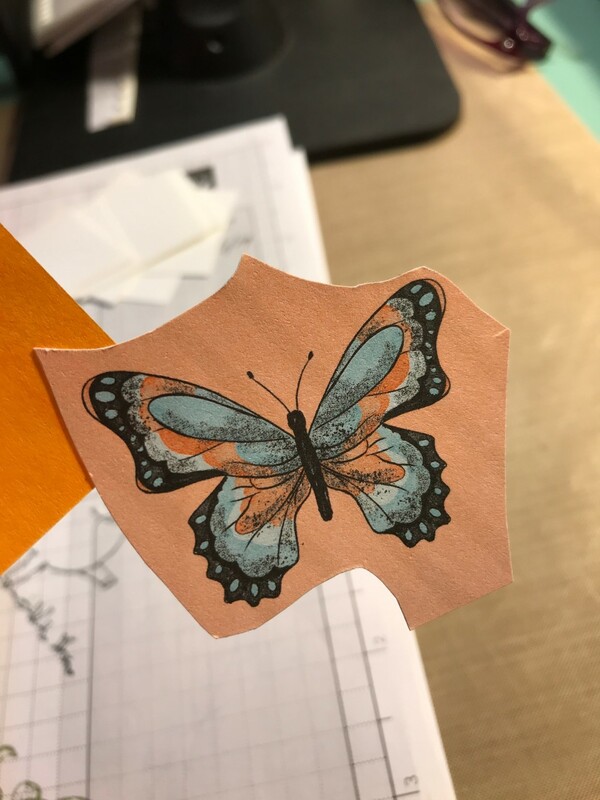 I used a technique I call “dirty watercolor” on the butterflies, I didn’t worry about the lines and just kind of popped in the color where I wanted to. 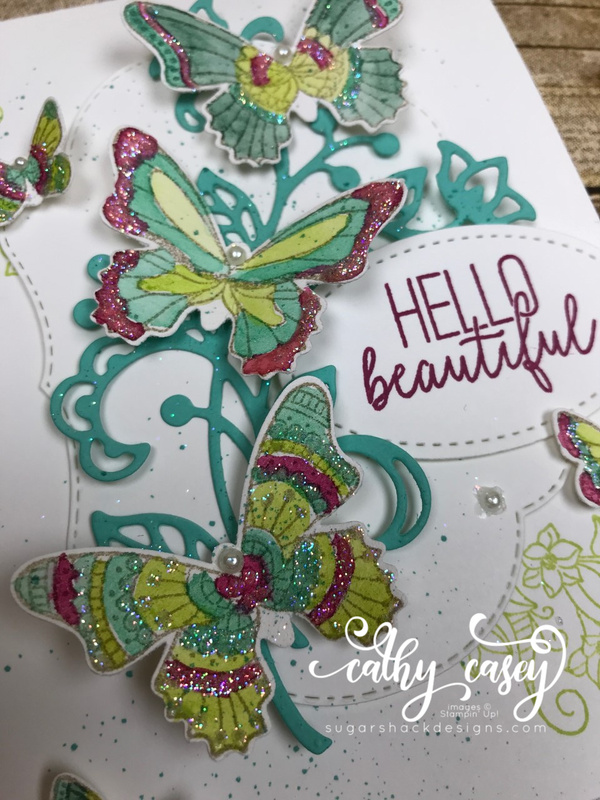 Then I added dazzling diamond glitter accents to the butterflies, yummy! 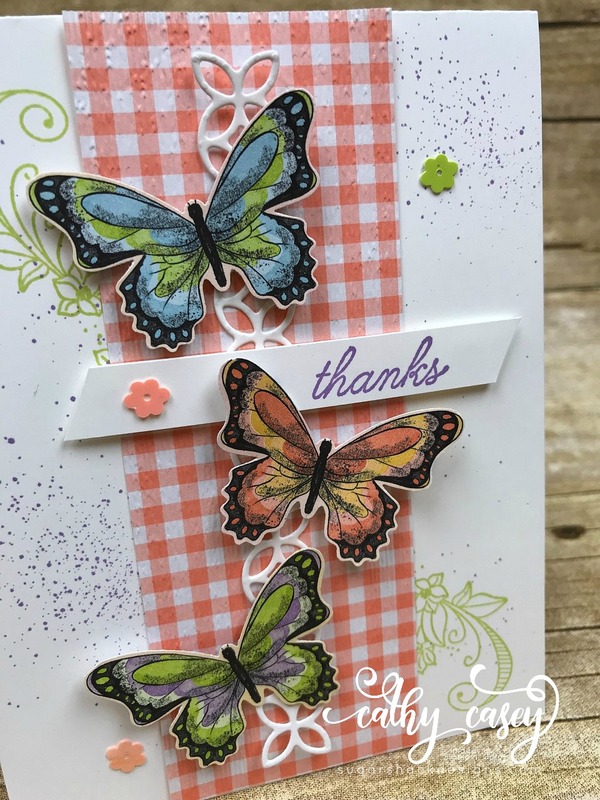 I love how bright and cheerful this card is…it just shouts that spring is coming soon!